You are here: Home » Blog » I Can Read! 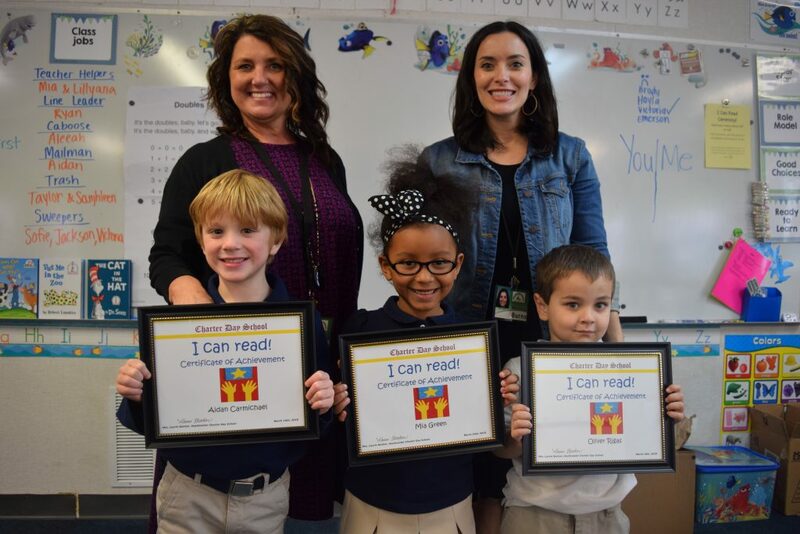 All Kindergarten students at Charter Day School recently celebrated a milestone – they can read! On March 16th, 2018 hundreds of young students and parents crammed into the Music room on Charter Day School’s campus to take part in the annual “I Can Read” ceremony. The occasion marks the official point at which the entire Kindergarten class has achieved enough proficiency to begin reading on their own. Set amidst 80 acres in Leland, NC, the Charter Day School (CDS) is in its 18th year as a high-performing program of classical education for kindergarten through 8th grade. With parents in North Carolina having the freedom to choose – tuition free – where their children are educated, CDS is a charter school that draws over 900 students from across Brunswick, Columbus, New Hanover and Pender counties.